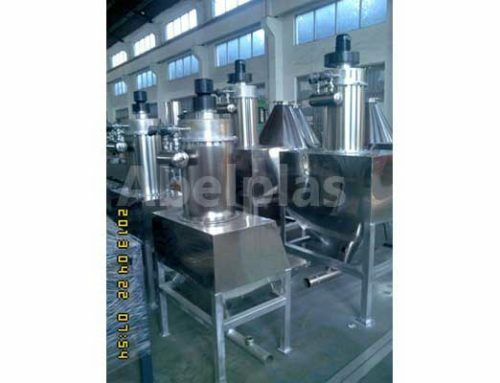 Ableplas machinery Co, Ltd. has solutions for such issues: a vacuum conveying system can transport raw materials efficiently and productively from source to destination. 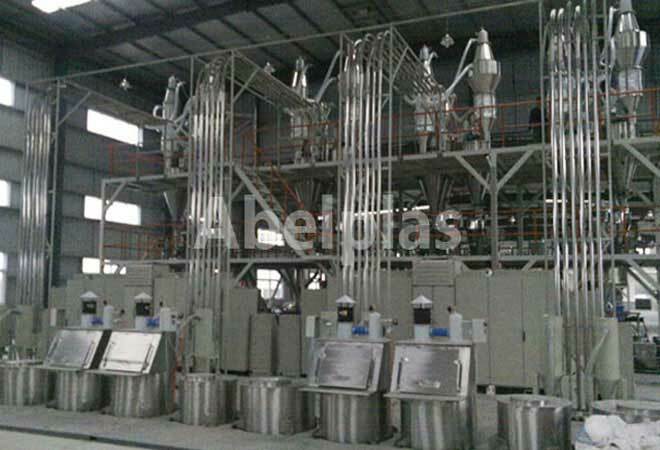 The design can eliminate crowding because the fully automated conveying system can conveniently locate the sources away from the destinations. This eases operator work space for a more productive facility. 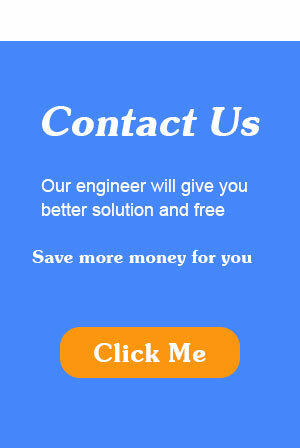 Additionally, we can customize the PLC program to fit each customer’s requirements. 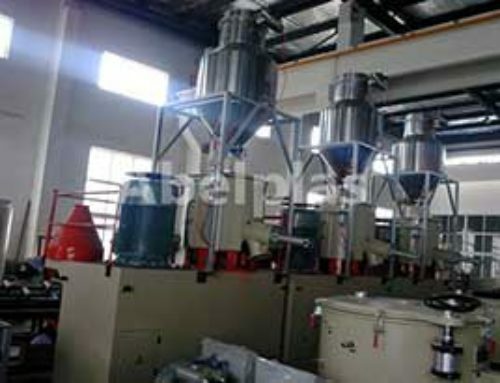 In the example shown below the customer required a system to convey four types of materials — regrind, PP pellets, calcium carbonate and PVC — from dump stations to the hoppers above their extruder lines. The dump stations were located conveniently for the operators to load, while the hoppers were on a support structure above the extruder. Regrind was conveyed at a rate of 600Kg/h, PP pellets at 250Kg/h, calcium carbonate at 300Kg/h and PVC at 400Kg/h. The system is initiated when a low level indication is received from the hoppers. The blower package starts, producing the vacuum source. The material in the dump station feeds through probe box, into the convey line and is transported into the receiver. When the vacuum is removed from the receiver, the weight of the material inside the receiver causes the discharge gate to open. 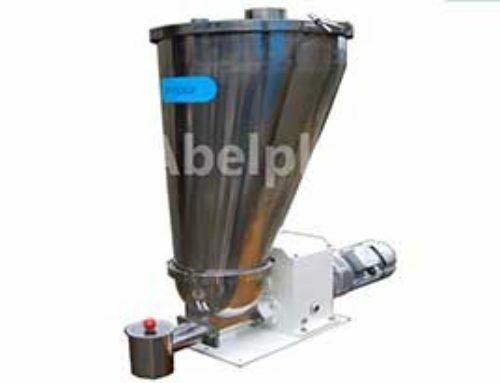 This causes the material to fall into the hoppers below. 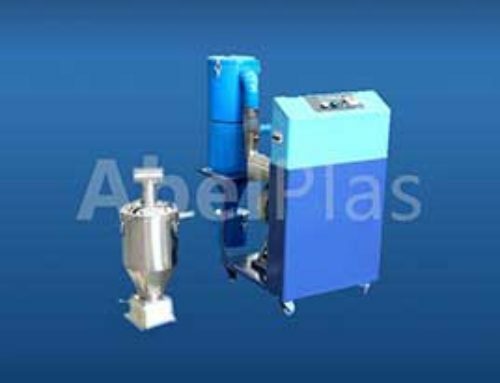 The powder receivers for calcium carbonate and PVC have a pulse cleaning mechanism to clean material from the filter, ending the service cycle. The cycle repeats until the high level indication is received from the hoppers below, at which point the system shuts down. 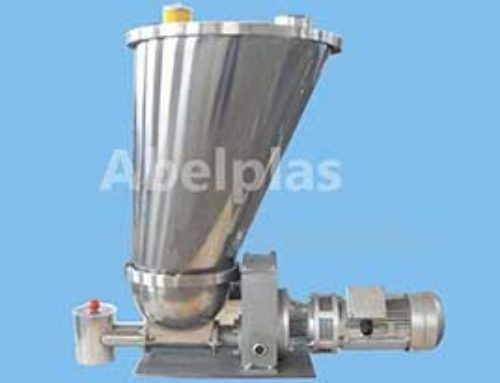 A vacuum sequencing conveying system allows you to connect one blower and one in-line filter to more than one receiver . This will reduce costs, reduce space requirements for equipment and help with maintenance costs because there is less equipment to maintain. The receivers use a rugged modular design and quick-connect clamps for easy cleaning and filter maintenance.